So, you want to fix your auto glass yourself? Window repair damage seems simple, especially if your “damage” is just a teeny chip or divot. With easy-to-find home repair kits and web tutorials available in ever-increasing frequency, fixing it yourself presents itself as a viable option to many automobile owners. But is it really as easy as it looks? Easy to make a mistake? Yes! Many window repair experts have stories of do-it-yourself car owners that have tried to repair their windshield’s damage on their own, and later on ending up having massive repairs or replacements. That is usually because the repair was not completed correctly in the beginning. It is easy to make a mistake when you try to fix your auto glass yourself. These kits assume a lot of knowledge and skill on the part of the user. If you are not intimately familiar with the materials or process, you can end up causing more damage or visibility issues, rather than fixing your problem. These kits are, in other words, not for the faint of heart, or the average home-repair handy-man. These videos make it seem as simple as mix, place, and done. However, just like any online video how-to, you need to consider the source. A trained repair professional will make it look as easy as pie on camera, because they have a steady hand. Joe, there, he’s done that skill hundreds of times over years of experience. There is little to no chance that you will get the same results when you try it the first time on your car in your garage. 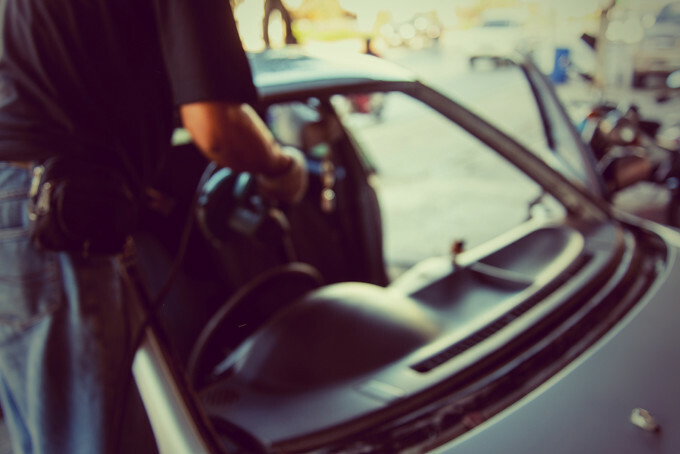 Waiting to replace your damaged auto glass is not only an irresponsible decision, it can quickly become a financial or personally damaging one. What happens if your windshield is struck by debris while you are driving with your family in the car? The glass may completely shatter, coming in on your loved ones. No one wants their family hurt. On top of the physical and emotional damage, you now have a hefty windshield replacement bill, and any property damage on the interior of your vehicle, to deal with, as well. In this instance, the best solution is to let your friendly neighborhood auto glass repair professional have at it. They have been trained to repair your damaged auto glass, and can do so quickly and affordably. The peace of mind you will retain from letting a trained professional handle your auto glass repairs and replacements is more than worth the money. And that’s where Advanced Auto Glass comes in. We provide quality auto glass repair and replacements to our Dallas Fort Worth area, and we do it affordably. Many people do not know that their insurance may have options to pay some, or maybe even all, of the expense of an auto glass repair or replacement. If you need help navigating your insurance tricky lingo, we can generally help with that, too! Give Advanced Auto Glass a call or a click today, and don’t put off your windshield fix any longer!